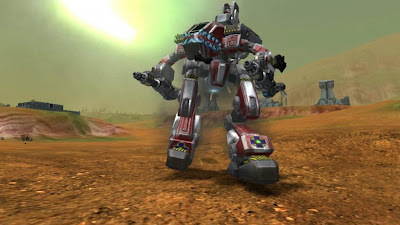 Dark Horizons: Mechanized Assault Vehicle (MAV) is a 3rd person persistent online mech game set in the Dark Horizons Universe. The game is Successor to the 2004 game Dark Horizons: Lore and the 2009 game Lore: Aftermath. Dark Horizons: MAV is currently under development. Interested users can test development builds by signing up for closed beta testing. Unfortunately, only Windows builds are available in beta testing as of now. However, final version of the game will be available for Mac and Linux platforms as well. Up to 32 players per Faction wars mission (when hosted by a dedicated server), maximum 8-16 recommended for player hosted games. Equip special items such as Mines, Turrets and Counter Measures that you can deploy in the game world. Variety of game inputs to control the game with either the standard keyboard & mouse, or utilize a Joystick or a Xbox 360 game pad to play. DH: MAV is being developed by Max Gaming Technologies and it will be released in December 2012 for a small price.